Owners did not exercise their dog before going to the park. 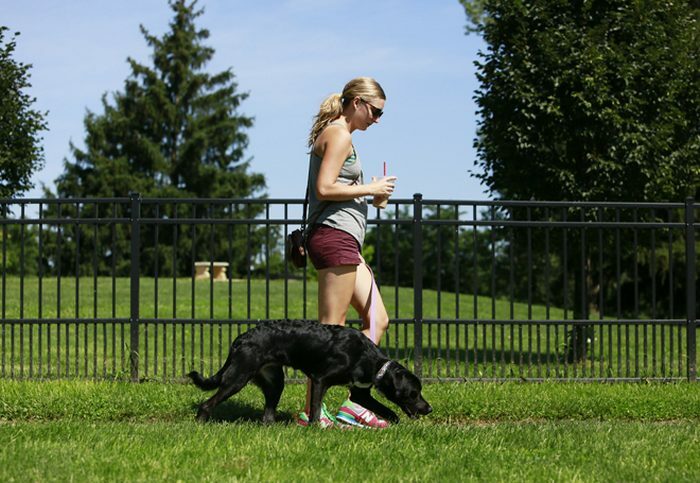 You may be surprised that dog parks aren’t made for dogs to exercise. I mean, dog parks should only be supplementary activity, and not the main source of socialization and exercise. A dog that has stayed indoors for a long time has pent-up energy. Thus, bringing her to a very stimulating environment isn’t a bright idea at all. Your dog may become overly excited about running around that other dogs would start chasing her and she’d suddenly turn into a prey, which results to a fight. So exercise or play with your dog first before going to the park. Keeping the dog leashed inside an off-leash park. It is a bad idea to keep your dog leashed in an off-leash dog park. While you feel secure that way, it actually becomes a tripping hazard if your dog begins to play. 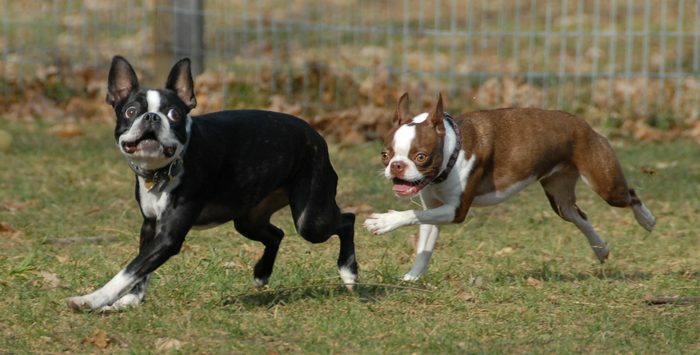 A firm tug would result to injuries and panic as they feel scared and anxious at the dog park. Furthermore, your dog may feel insecure because they are aware that they can’t escape when they have to; which triggers fights that won’t have happened in the first place. Letting small dogs play with large ones. 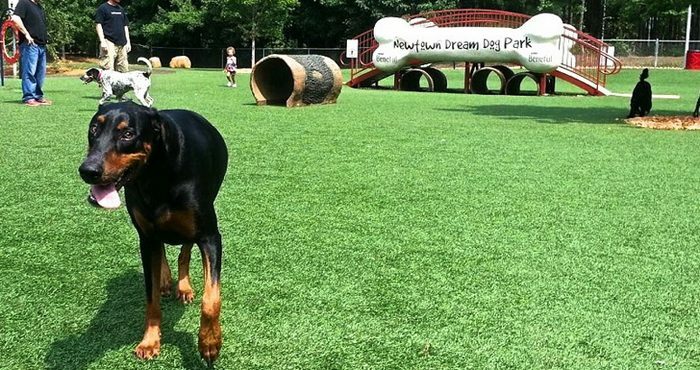 Several dog parks don’t have separate play areas. If that’s the case, you need to be cautious in bringing your small dog to the park. That’s because large dogs may view them as preys. You can’t really blame a Rottweiler preying on a Yorkshire as though it’s a squirrel. Keep in mind that you’re responsible for your small dog if you bring them to these kinds of dog parks. Bringing 3-month old puppies or dogs without complete vaccinations. You may not see it, but your dog can pick up parasites and diseases at the dog park. Dogs that have been completely immunized can handle this. They may pick up worms or Giardia, but adult dogs can easily survive the treatment. However, puppies with incomplete vaccinations may pick up anything from parvo to Giardia which their bodies can’t handle yet. Puppies less than 3 months old or those that haven’t been fully immunized yet should be kept away from dog parks. Owners are not paying attention to their dogs as they socialize with other humans. Note that your main priority at the dog park is your dog. Think of this activity as taking your children to the playground, then turning your back on them to chat with other parents. Not a good idea, right? That also applies to dogs. A lot of people often think that they can let their dogs loose in a fenced park and just go about socializing with other owners. Some become too busy chatting that they forget to watch out for their dogs. Remember that dog parks are for dogs, and long chit-chats should be done elsewhere. Allowing their dogs to bully other dogs. When taking your dog to a dog park, it is important that you know how to recognize inappropriate behavior. While a tag-and-run play is cute, constant nipping at another dog’s neck and pouncing may be inappropriate especially if the one on the receiving end isn’t too happy about it. If your dog starts to get rough, it’s time to call her and have her leave the other dog alone. If you don’t, chances are, you’re tolerating dog fights and you might get yelled at by the owner of the dog that’s being bullied. Taking a female dog in heat or a pregnant dog to the dog park. You shouldn’t take pregnant dogs or female dogs in heat to the park. That should already be a given. But there are still some owners who don’t know the consequences of such an act. If you do this, you’d really see all hell breaking loose when a group of dogs gather around your pooch. Leaving training devices on dogs while playing. Leaving prong collars or harnesses on your dog may result to another dog’s injuries. Note that during play, nips and nibbles are usually aimed at the neck and shoulder. So if your dog has metal contraption, its actually inviting injuries and potentially a dog fight if another dog can’t detach himself from your pet’s neck. Use simple nylon or leather collar that can be easily removed instead. Not picking up after your dog. It’s very unpleasant to walk in the park that has poop everywhere. There are actually a lot of diseases and parasites living in a dog’s feces that other dogs can contract when they step on it or, worse, eat it. If this happens to your dog, dog cleaning is necessary. So do the dogs and the park a favor, pick up after your pet. You will not only make the place a pleasant experience for your dogs, but you’ll help prevent them from contracting diseases as well. Spending more time on your smartphone than looking after your dogs. Smartphones can be a distraction from watching over your pets in the dog park. Sadly, many dog owners stare at their phones the entire time while their dog is playing in the park. What’s more sad is that there are dogs standing in front of their smartphone-absorbed humans, wondering if they’re going to play with them. Take note that dogs will actually sense it when you’re mentally disengaged. And some dogs take advantage of that by breaking rules. Never make it to point where other dog owners have to handle your dogs because you’re too busy with social media. That can wait; dog parks are a time for your dogs. It is important to mind your actions while you’re at the dog park. Be considerate enough to watch out for your dogs and make sure they don’t hurt others. Make every dog’s park experience fun and safe.